Platform-as-a-service (PaaS) is a cloud service model that provides consumers1 with services for building,deploying, and managing applications. Infrastructure-as-a-service (IaaS) provides self-service access to ITinfrastructure like compute, storage, and networking resources. PaaS layers on top to provide an additionallevel of abstraction. Whereas the IaaS consumer is most likely a system administrator or IT manager, PaaSprovides application developers, testers and administrators with services to develop, test, deploy, and manageapplications in a cloud environment. Red Hat® JBoss® Enterprise Application Platform (JBoss EAP) for OpenShift Enterprise by Red Hat was built specifically to deploy full Java EE applications into the cloud. JBoss EAP is a market leader in application platforms,1 providing a 569% ROI within two years of project completion and beating the competition for customer satisfaction.2 And JBoss EAP provides a simple and straightforward approach for using your existing development tools, environments, and engineering skills to deploy and manage Java EE applications. JBoss EAP for OpenShift Enterprise includes Red Hat JBoss Developer Studio and further extends the developer and manageability benefits inherent in JBoss Enterprise Application Platform for on-premise cloud environments. JBoss® Enterprise Middleware from Red Hat takes the best projects and features from the JBoss Community, and other communities such as The Apache Software Foundation, and integrates them into a broad portfolio of stable, supported middleware product offerings that are maintainable over the long-term. JBoss Community projects can be downloaded by anyone at any stage of the software development process. These projects are used by developers to test and integrate middleware capabilities as a part of their application development efforts. However, due to their rapidly changing nature, lack of support, lack of integration, and the unavailability of certified binary patches/updates, open source community projects are best suited for proof-of-concept and development projects. This paper discusses the differences between JBoss Community projects and JBoss Enterprise Middleware products. It explains how JBoss Enterprise Middleware delivers the benefits of open source software, combined with the additional testing, certification, and maintenance releases necessary for reliable long-term enterprise production use. 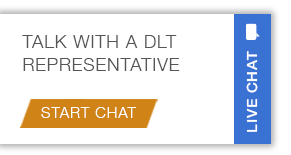 For over 23 years, DLT Solutions has been dedicated to solving public sector IT challenges. Guided by our relentless focus on these challenges, we have grown to be one of the nation’s top providers of world-class IT solutions.